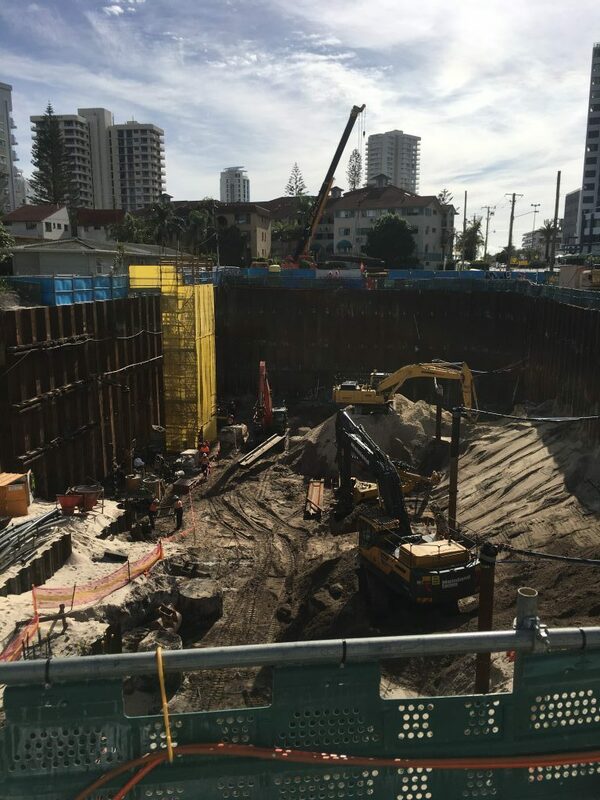 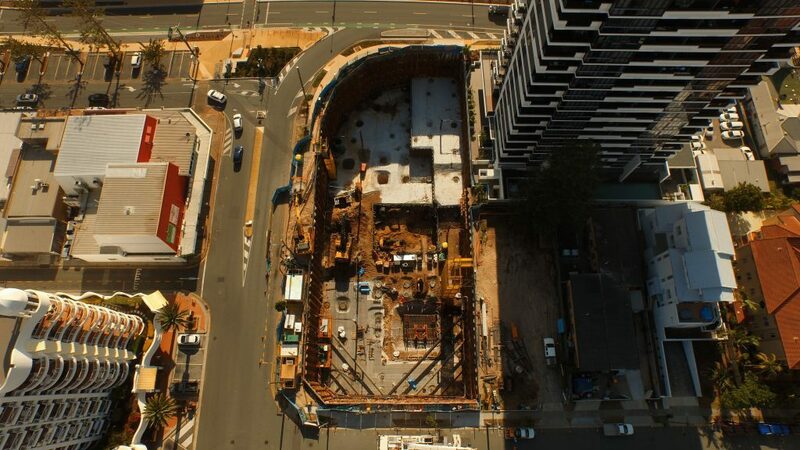 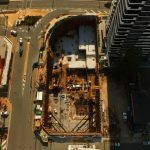 For this Mainland Apartments development, ASP Piling completed sheet pile shoring for design, mobilization, installation, associated anchoring and bracing as well as temporary anchor removal. 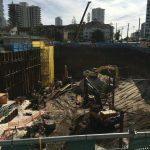 Australian Dewatering Systems dewatered this site using a combination of deep wells and spear-point systems with pH and sediment tanks for effective treatment of groundwater. 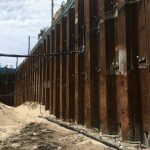 Qube required close to 300 lineal metres of sheet piling for the perimeter wall as well as for the cores and lift shaft. 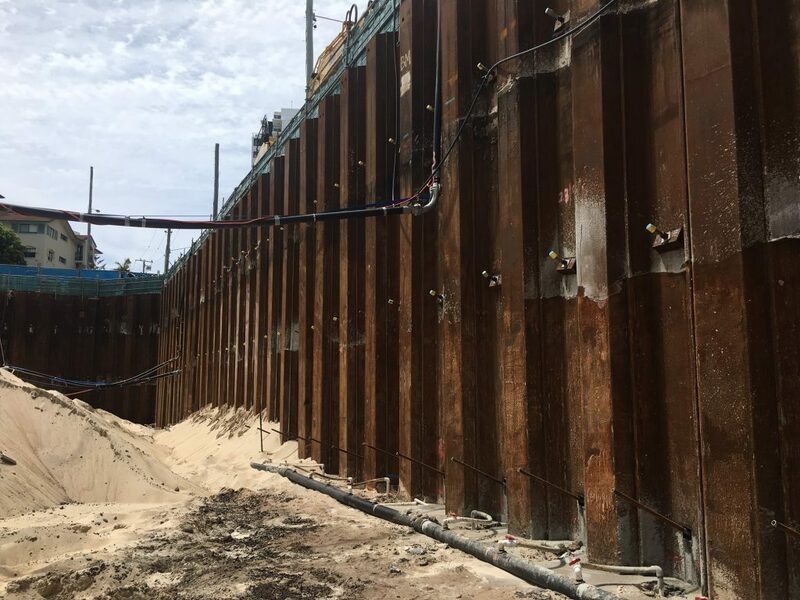 The deepest section of the site requires heavy gauge sheets to shore to a depth of 14 metres in conjunction with approximately 350 anchors and an additional bracing system implemented.